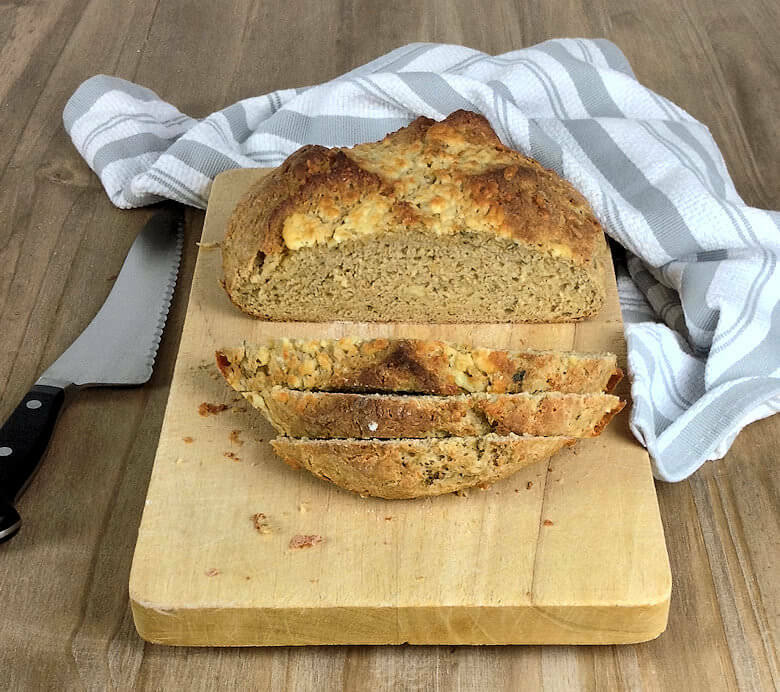 Irish Soda Bread; it is something you got to make around St. Patrick’s Day, even if you’re not Irish, like me; kind of getting in the spirit of things. 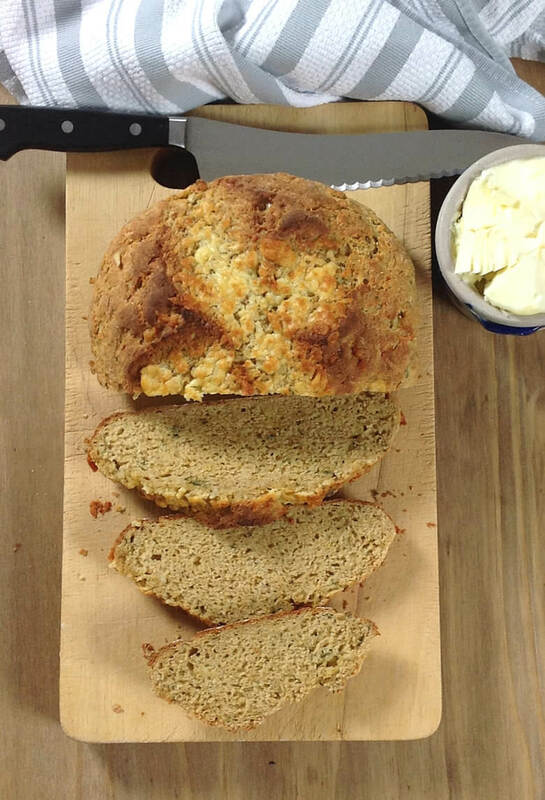 I hope I am not offending anybody by changing the recipe into Sage Irish Whiskey Cheddar Soda Bread: I added Irish whiskey cheddar and sage to add more flavor and whole wheat for extra color and flavor. Serve this bread with some real butter, warm bread and butter, what more do you need, some cheese may be? 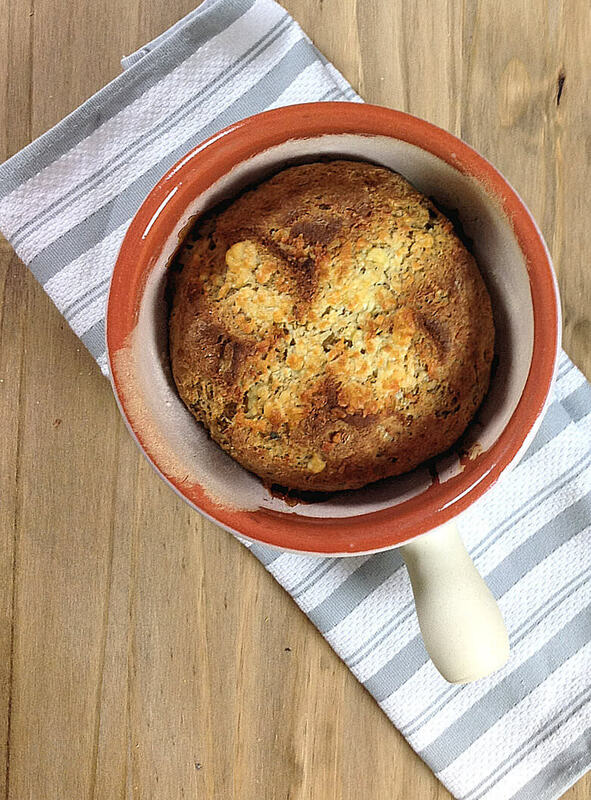 An easy bread recipe and I would say, guaranteed success. I mixed Irish cheddar cheese with Whiskey and sage inside the dough and also some cheddar on the top of the bread, just to make it a little richer; when it comes out of the oven with that wonderful aroma, bring on the butter, it is hard to resist. You’ll need 2 cups of the cheese, that is about 8 ounces and 2 tablespoons of chopped sage. You’ll end up with a slightly sticky dough; knead that a little bit, just to make sure that all is well mixed and then bake it. I baked it in a fondue pot and covered it, because I wanted to retain the moisture and didn’t want the bread to brown too much. After 30 minutes take the cover off and sprinkle with the remaining cheese and bake another 15 minutes. Pure warm seductive aroma will welcome you in your kitchen. Allow the bread to cool a little and enjoy the crunchy crust, the flavorful bread with some butter, I guess it has to be Irish butter :-), to make up for the non-traditional soda bread recipe I made. Lightly grease and flour a round pan or bake the bread on a baking sheet. In a bowl milk together all the dry ingredients and cheese and sage. Keep a little bit of cheese behind to cover the top of the cheese. In a separate bowl mix buttermilk and egg and whisk until mixed. Add buttermilk mixture to dry ingredients and mix until you have a sticky dough that you form as a ball. Place on a floured surface and lightly knead. Not too long, but just enough to make sure that all is well mixed. Place in round pan or baking sheet. Use a knife and cut a cross in the top of the dough. Cover pan and bake for 30 minutes. Remove cover, sprinkle left over cheese on top of bread and bake for another 15 minutes. Allow bread to cool before slicing and serve with butter.